A wood deck adds architectural interest to a home or business and can provide additional “living” space for entertaining or relaxing at a cost far below adding a room. However, the choice of materials used for decking can have a detrimental rather than a beneficial effect on the enjoyment associated with your deck and sometimes give decks a “bad rap”. 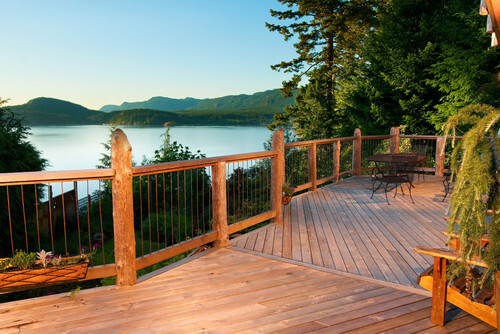 Decks are exposed to the elements and choosing the right wood greatly affects how they weather these elements. Rain, snow, direct sunlight, humidity, etc. all have an effect on your wood deck’s appearance and structural integrity. 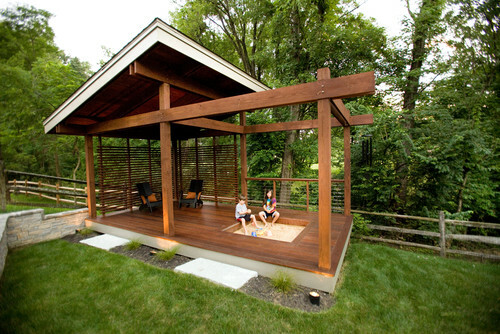 We believe that a deck should last 20+ years and with the right wood and routine maintenance this is achievable. What makes more sense…spending 50% more on the wood for a deck that will last more than 20 years or choosing an inexpensive wood and replacing the deck every 7-10 years? We have no interest in offering you decking material that will last for only a short period of time, it is not only wasting your money it is environmentally unfriendly. 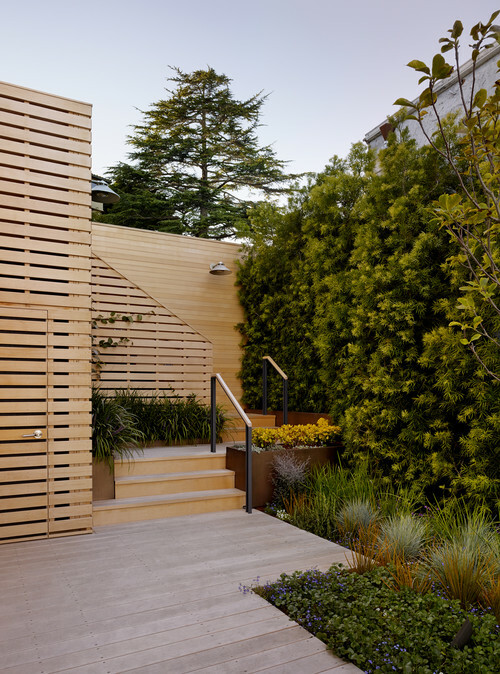 Western Red Cedar (WRC) has been a mainstay for exterior applications for many years. Whether it be decking, siding or shingles WRC has proven durability and good looks. Where the tree grows has a major influence on the quality of wood. The better grades of WRC come from the coastal regions of the Pacific Northwest. We source our cedar from Vancouver Island using recovered logs that are saved from being left to rot in decommissioned cut blocks or turned into wood chips. Vertical grain, random grain clear or select tight knot grades are available. Another example of using Western Red Cedar to make an impact. Western Red Cedar works for rustic or modern aesthetics. Alaskan Yellow Cedar (AYC) or Cypress as it is known on the west coast of Canada is one of the slowest growing species of North American trees. The growth zone is from Washington state north into the Alaskan panhandle. Where AYC grows, e.g. altitude, coastal vs inland affects the characteristics of wood and the most prized trees grow at higher altitudes on Vancouver Island. Commonly used for carving, (many Pacific Northwest totem poles were carved from Cypress), boat building, flooring, decking, siding, fencing, outdoor furniture, guitars, flutes, boxes and chests. In Japan, it is known as “Temple” wood because of the thousands of board feet used in the construction of religious temples, it’s excellent rot resistance and its ease of workability make it an excellent construction wood. We source our AYC only from recovered logs that are salvaged in areas on Vancouver Island known for superior quality. We maintain an ongoing inventory of logs that enables us to supply AYC decking, siding or other products within a reasonable time line, usually 6-8 weeks. We can supply vertical grain clear or select tight knot grades depending on your requirements. Interested in learning more about how we make sure our timber is environmentally friendly? Read all about how our logs are salvaged. There are numerous opinions on the environmental impacts of composition decking…as a quick internet search will reveal. We believe that the jury is still out on the “green” label for the composites and leave it up to each customer to do their own research and reach their own opinion on this issue. We think wood is the ultimate sustainable decking material that meets the cradle-to-cradle requirements we have set for our company’s practices. Interested in sourcing some wood products?